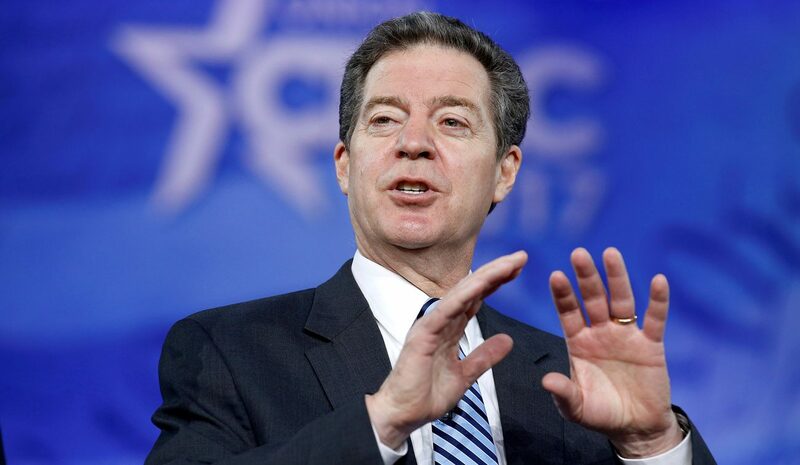 WASHINGTON (CNS) — The U.S. Senate has confirmed Kansas Gov. Sam Brownback, a Catholic, to be the new U.S. ambassador-at-large for international religious freedom in the U.S. Department of State. Nominated to the post in July by President Donald Trump, Brownback was confirmed Jan. 24. The Senate vote was 49-49 and Vice President Mike Pence cast the tiebreaking vote. On Jan. 25, Brownback announced he will resign the office of governor Jan. 31. He said he looks forward to continuing his public service in a new role. “Wherever my duties may take me, my Kansas values and experience will always travel with me,” he said. Thomas Farr, president of the Religious Freedom Institute in Washington, welcomed the Senate’s confirmation of the Republican governor for the post. He noted “a host of daunting challenges and threats to stability and security” that will face the new ambassador. Brownback, 62, was elected the 46th governor of Kansas in November 2010 and took office in January 2011. He won re-election in November 2016. Before that, he served in the U.S. Senate after winning a special election in 1996 for the seat previously held by Bob Dole, who was the Republican presidential candidate that year. Brownback won the following two regular elections for Senate, serving until 2011. He ran for U.S. president in 2008 but ended his campaign before the primaries; he endorsed Sen. John McCain, R-Arizona, who eventually won the GOP presidential nomination. As a senator, Brownback was a member of the Judiciary Committee, the Senate Appropriations Committee, the Joint Economic Committee, and the Commission on Security and Cooperation in Europe, also known as the Helsinki Commission, which he at one time chaired. The Helsinki Commission monitors compliance with international agreements reached in cooperation with Organization for Security and Cooperation in Europe. In 2000, Brownback and Congressman Chris Smith, R-New Jersey, led the effort to enact the Trafficking Victims Protection Act. President Bill Clinton signed the legislation into law in October 2000. Before serving in the Senate, Brownback was elected to the U.S. House in 1994. Prior to that he was secretary of the Kansas Board of Agriculture; named to the post in 1986, he was the youngest secretary in state history. The current chairman of the Helsinki Commission, Sen. Roger Wicker, R-Mississippi, praised the choice of Brownback, saying he is “exactly the man we need out there, everywhere, doing this work, right now” on religious freedom issues. Brownback, and his wife, Mary, have been married for over 30 years. He calls his wife “the glue that holds our family together.” The Brownbacks have five children — Abby, Andy, Liz, Mark and Jenna.